The friends that an only child make can become more like a family member. When Noah was younger there were always kids in the house playing music, spending holidays and having late night chats with me in the kitchen. These kids are now all young adults beginning their own adventures and scattered about in far-flung corners of the world like Bangkok, Seoul, Geneva, London, and Austin. 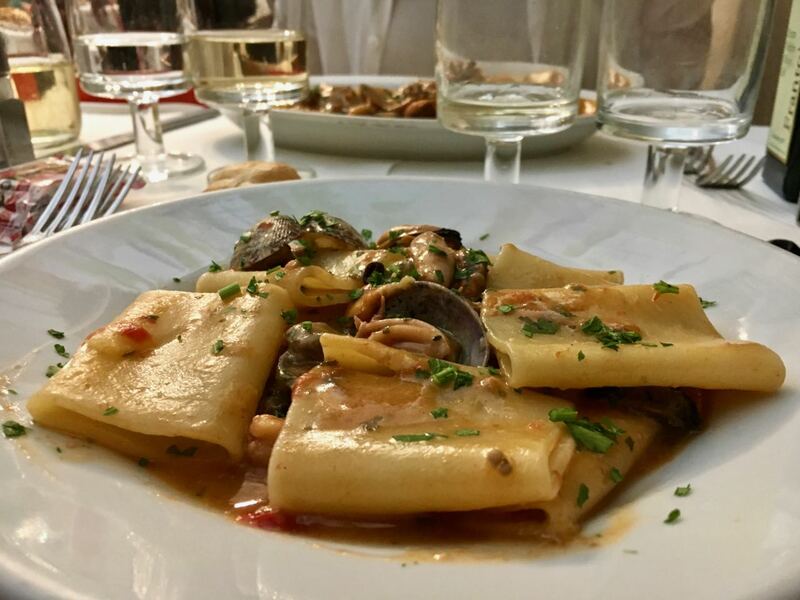 Luckily, like family, they keep in touch, come home to visit and invite you to lunch. Given the choice, I will (almost) always pick a simple traditional restaurant over a newer flashier one, so I was thrilled to try Noah’s pal Rolando’s suggestion, Da Gino. 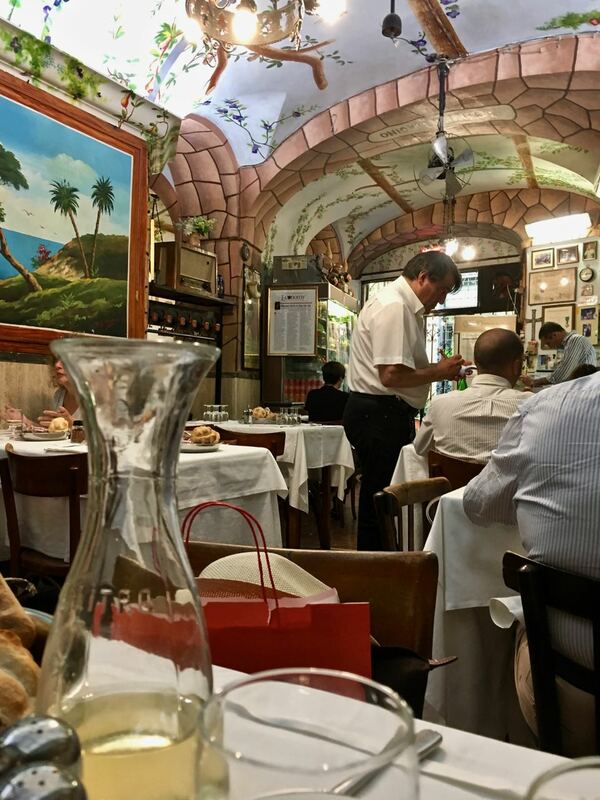 Space is tight in this very traditional spot hidden down a short alley in between the Pantheon and via del Corso. 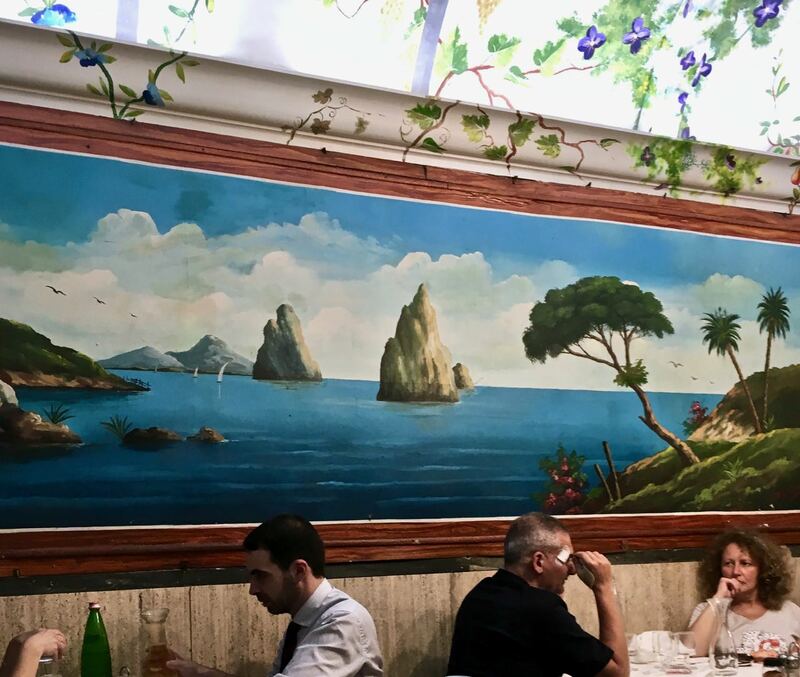 The walls are covered with are brightly colored murals of the Faraglioni of Capri and the ceilings painted with vines and flowers. Service is brisk and the menu classic. 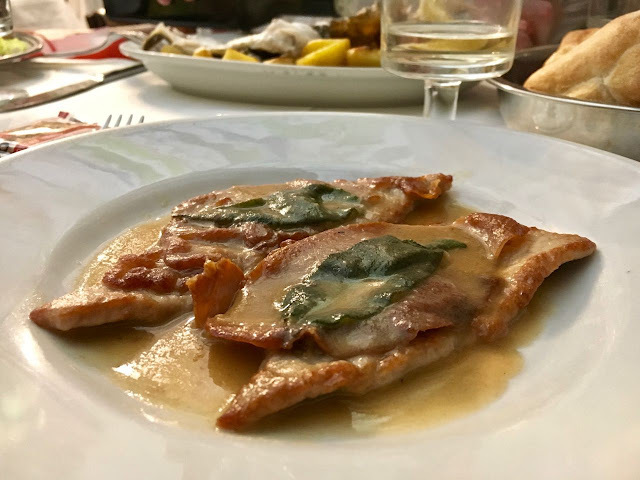 After a month away from Rome I had planned on a plate of saltimbocca and cicoria to cure my jet lag, but the waiter had other ideas. 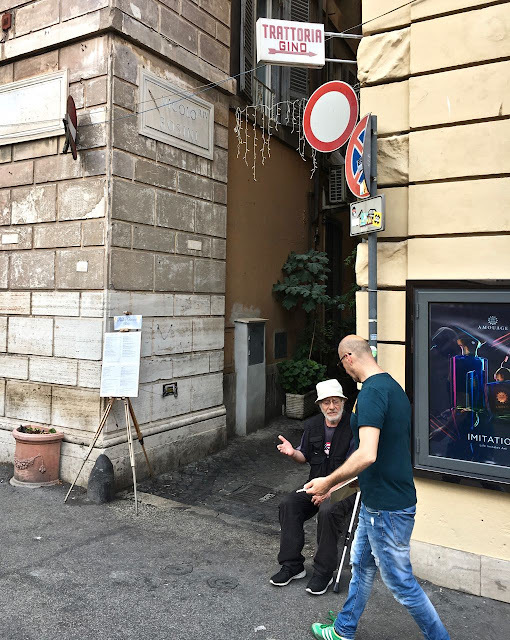 He strongly suggested I try at least a half portion of the paccheri allo scoglio and changed Rolando’s order completely to tagliolini al ragù di cernia (grouper) and a grilled fresh spigola (sea bass). Here is a thing to know about Roman waiters. Take their advice. 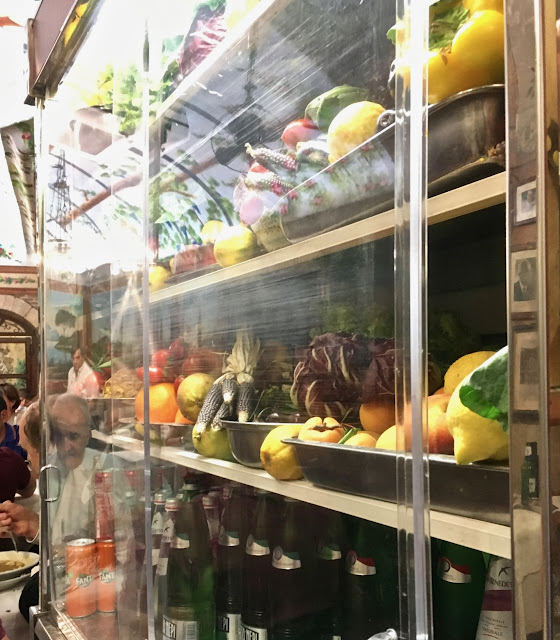 They are almost never trying to upsell you to an outlandishly expensive item (though always ask particularly when the suggestion is seafood) but instead truly recommending what is fresh today in the kitchen. I still ordered my saltimbocca and Rolando’s mother had a hearty plate of osso bucco dotted with fresh green peas and we caught up on news of new jobs and girlfriends and ended our meal with a cold slice of watermelon and a selfie sent to the missing family member.